In the first part of my critical analysis, I would like to introduce three main topics that I am going to discuss as one because they are interconnected. The first topic will be about Economic disruption and will analyse economic and social interaction as result of the implementation of innovative technologies. The second interrelated problem is going to be focused on Internet of things (IoT) and its Disrupting power within industries’ creating new more efficient technologies which require less human intervention and cause so-called technological unemployment. Then in the last part, I will tackle the inefficiencies of our social systems and in this way, compare it with our technological advances which do not match. To talk about the importance and dangers that these technologies bring we must understand the technological progress itself. It took us 8000 years from Agricultural Revolution to Industrial Revolution. Then 120 years from this period to a light bulb. Another 90 years from there to the Moon landing and only 22 years’ from the Moon landing to World Wide Web. But the most extraordinary progress was made only recently it took only 9 years until human genome was sequenced. According to the book “The zero-marginal cost society” which was written by Jeremy Rifkin who is an American economic and social theorist and political advisor (for Germany, China) the capitalism as we know it its coming to its end because of our technological advancements mainly by our recent invention called the Internet of Things. The basic idea of the book states that global competition which seeks to reduce the marginal cost of the products and services forces businesses to introduce more efficient technologies, accelerating productivity to the point where the marginal cost of production approached zero, making goods and services „priceless“ and potentially free, putting an end to profit and rendering the market exchange economy obsolete. Over the past decade millions of consumers have become presumes, producing and sharing music, videos, news, and knowledge at near-zero marginal cost and nearly for free, shrinking revenues in the music, newspaper and book-publishing industries. If information goods as mentioned above are distributed at their marginal cost of production which is – zero – or – near to zero- they cannot be created and produced by companies seeking out profits from such a doing. 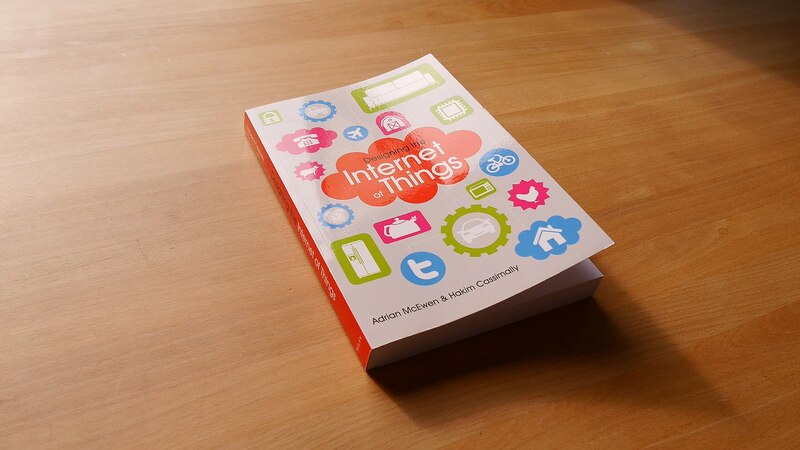 Now, this is still in some extend affecting only the digital industry, but there is a great shift in paradigm in which the Internet will connect to all the other devices (things) in the world, and that’s why some people may call the “Internet of things” “The internet of everything”. The convergence of the communications Internet with the fledgeling renewable energy internet and automated logistics internet in a smart, inter-operable internet-of-things system is giving rise to a fourth industrial revolution. There are now 11 billion sensors connecting devices to the internet of things and by 2030 there will be 100 trillion sensors attached to natural resources, production lines, warehouses, transportation networks, the electricity grid and recycling flows, and be implanted in homes, offices, stores, and vehicles – continually sending big data to the communications, energy and logistics internets. This is an extrapolation from the book Second Machine Age written by two MIT professors Erik Brynjolfsson and Andrew McAfee. This terminology is sometimes used as an argument against technological unemployment because of technological progress. People who use this argument expect that technological advances will have no long-term impact. The other common argument is that on the one hand the new technology destroyed certain industries, but on the other, it created new and could support larger workforce during last two centuries. The progress in technologies as we have seen in the first part of this analysis is exponential. This means that that growth might look linear for some economists or other people analysing the problem when analysing the global progress of technologies. However, we have seen how technological innovation grew during the last 8000 thousand years and how the sequence of every invention took a smaller amount of time. The critics of the Moors law say that we cannot progress indefinitely and make transistors even smaller, so the Moors law will eventually die. This argument might be true but only regarding certain paradigm (technology). The exponential growth itself will continue through another technology as it was seen in the past. Our current socioeconomic system is not able to handle our technological capabilities and needs to transition into another economic paradigm. This means that we are stagnating as a society clinging to our old value system in an age of exponential growth of our technology and knowledge. So, let’s transform this to a data perspective which would point out the inefficiencies of our current economic system and debunk some soothsaying scientific analysis which may say otherwise due to “cherry picking” tendencies which rise from a non-holistic analysis. Are there any positive news? Now at this point, I have shown some of the extremes of our so called civilised society, but there are some studies which would say all of this is more beneficial when compared with the past. This, of course, is the non-holistic perspective which we will discuss later. For example in the year 1820 the number of people living in extreme poverty was 95% of the global population and in the year 2015 it was only 10%. In terms of literacy which is the basic ability to read, write and use arithmetic’s has increased since 1800 from around 12% to around 94% in the year 2015. Some people would say that despite the horrendous inequality, food waste and amount of people dying because of the food shortage this is a good system that will allow us in future to feed all people. But is this opinion right? Let’s look at the facts. According to WWF’s Living Planet Report 2012 demand on natural resources had doubled since 1966 so we are currently using the equivalent of 1.5 planets to support our activities. In other words, we are presently depleting natural resources 50% faster than the planet can renew. The Living Planet Index reveals that global populations of fish, birds, mammals, amphibians and reptiles declined by 58 percent between 1970 and 2012. Of course, there are many more issues that need to be discussed and presented like deforestation, mass monocultural agriculture, global warming, overpopulation, and many other things. We are coming to a point where we must think about our future in terms of the survival of our species. We are not going to survive if we are going to continue with resource depletion and with modification of our environment in the way in which we destroy all the ecosystems with all the biodiversity that support life on Earth that enable us to survive. The solution to our problems is not political or based on opinions of people. We need solutions based on verified evidence which are today deliverable only through scientific method (not scientists). The scientific method needs to be applied to society with human and environmental concern. This approach is used in a new economic system called the resource-based economy which is a non-political and non-monetary system based on applied science and efficiency which is proposed by the organisation called The Venus Project. Briefly said this society is based on advanced cybernetic systems with global holistic production, transportation, and resource management. Difficult thing here is not only the transition towards this new holistic system which makes use of all the newest technologies not limited by monetary means (fractional banking system or reserve banking system) but to understand some main interdisciplinary key concepts of this project which are in contradiction with today’s values and beliefs based on myths and propaganda. Internet of things is changing our society with tremendous speed, but the social structures seem to stay the same or are changing very slowly. This is shown by the fact of technological unemployment, resource depletion, ecosystem collapse and other things which are a result of our outdated social conducts.